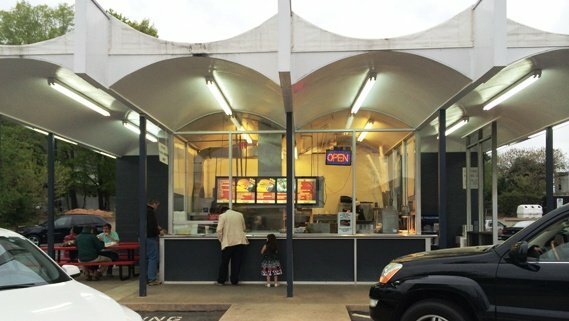 When you think of all the new burger places in the Triangle, you sometimes forget about classic spots like the Mecca and of course, Char-Grill. The Hillsborough Street location is a tribute to a simpler place and time with the 50’s retro sign, interesting roof-line and cooks and servers dressed in white. 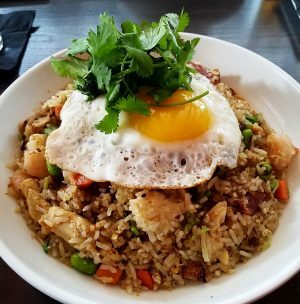 Char-Grill had been a favorite of mine when I first moved into Raleigh but like a lot of other spots, fell off my food radar screen over time. But I had a GroupOn in hand so it was time for a re-visit. And I have to say, it was not what I remembered which is sorta sad. 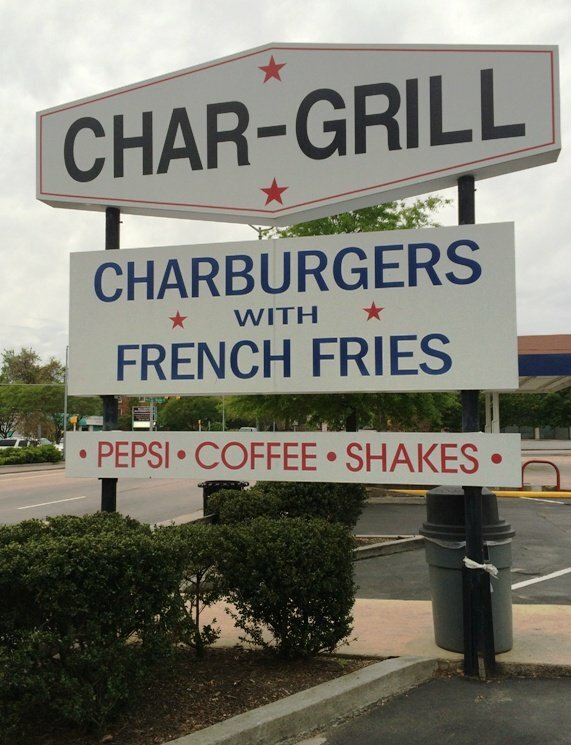 If you’ve never been to Char-Grill you may be a bit surprise. Counter service and take-out only, there are long order pads up front where you check off the items you want. 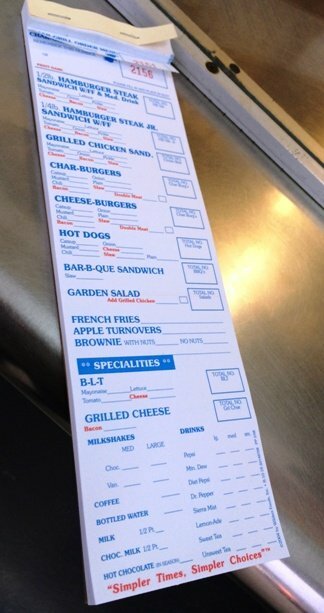 The menu is pretty small: burgers, steak burgers, dogs, fries, apple fritters and that’s about it! Slide that order slip into the slot at the front window and hang loose while your meal is cooked to order. 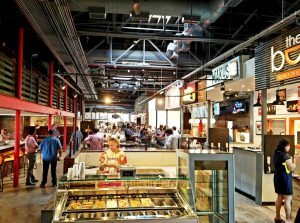 There are large plate glass windows all around Char-Grill so hang out and watch the smoke and flames fly off the grill. There’s no doubt as to whether or not your your burger is going to get charred! Ten to fifteen minutes, your name gets called, pay on the right hand side of place and you’re off! I ordered up the Steakburger Jr. with fries and some fritters. At home I unpack my meal and the steakburger looks like maybe a double burger unstacked with large char marks on the patty. Oblong sesame seed bun, some American cheese, lettuce, onion and pickle, at least you get to custom order your sammich. I bite into the burger with anticipation and… disappointment sets in. 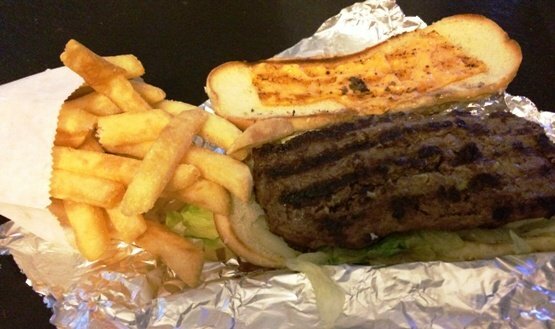 It’s probably been a year since I enjoyed one of these Char-Grill burgers and wow, what happened? The burger is a bit thin, dry and chewy with too much char. 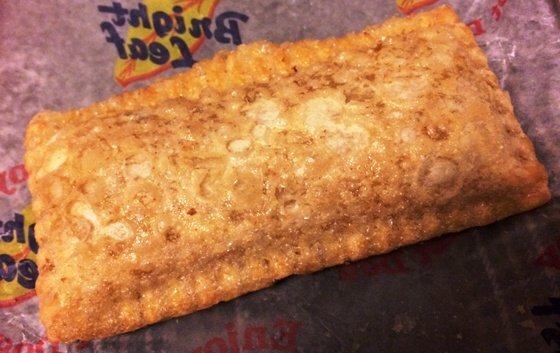 The whole sandwich has a bit of a mushy texture to it with the extras. But thankfully, the steak fries are solid but still… Hoping the apple fritter may redeem Char-Grill, I hit disappointment again. The fritters are basically like the old fried McDonalds apple pie but these treats are low on taste and the crust was a bit soft inside.